Negative Feedback - Needs improvement, needs to have location search and other options to narrow down searches.. Positive Feedback - It's easy to post ads but I am having a hard time to edit my add especially when I have to edit the photos. Also, it does'nt show any tool bar like rotate to left or right to correct the photo rotation. 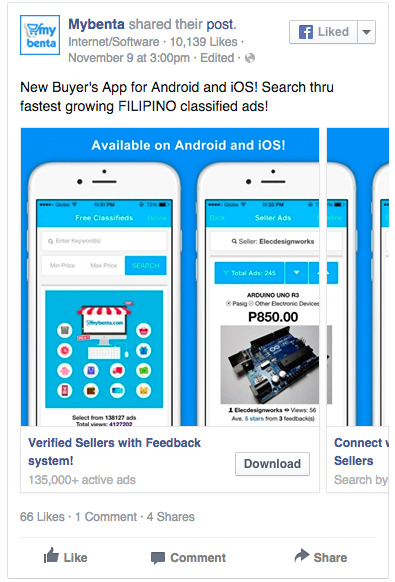 Positive Feedback - i closed a deal dahil sa mabilis at very easy posting sa maybenta.com! more powers!! Positive Feedback - So easy to post Mabuhay MAYBENTA.